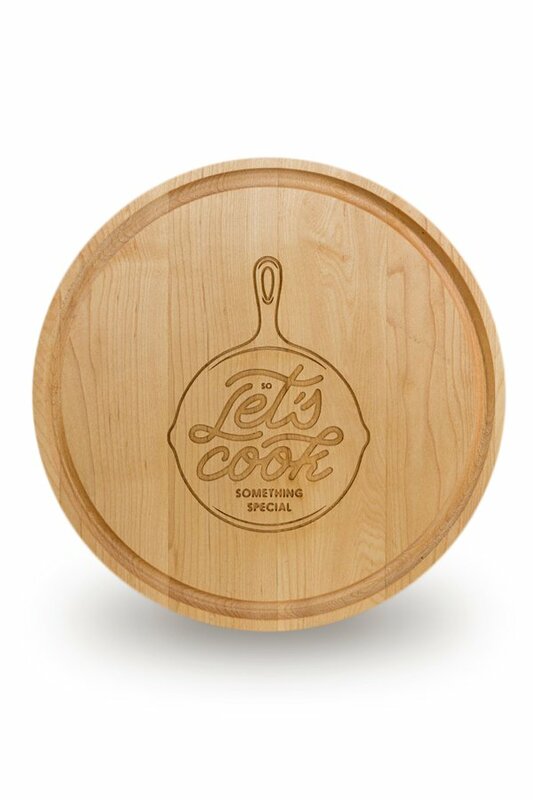 This personalized round cutting board is hand-crafted from American hardwood in your choice of durable Cherry or Maple hardwood. Its unique round shape and size makes this serving board ideal for displaying on your countertop, propped up against a backsplash, or for serving appetizers at your next gathering. Features include a deep groove along the edge to catch liquids making clean-up a breeze. Each board is custom laser engraved with a design and up to two lines of text. Our custom cutting boards make great gift ideas for him or her, the newlyweds, Father's or Mother's day, Christmas, and much more. Made in the USA from premium American hardwood in either Maple or Cherry. 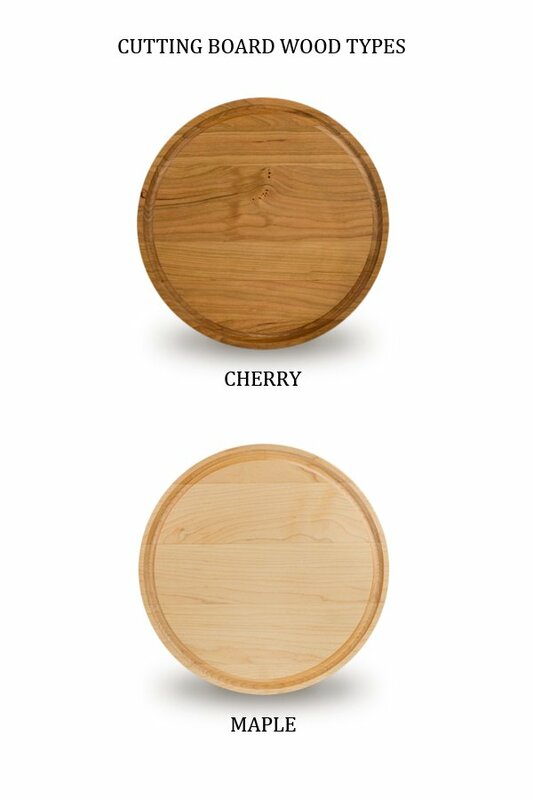 These serving boards are made from real American hardwood. Each piece is one-of-a-kind. Grain patterns and colors will vary. No two boards will be identical.